how much do i love chicken? this much. 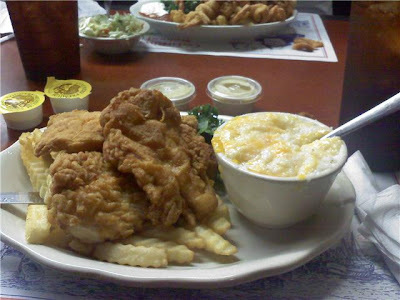 today the only thing i want is fried chicken, shrimp, cheese grits, french fries, hush puppies, & a big ole sweet tea. Down with resolutions, visions of getting in shape! UP with the CHICKEN!